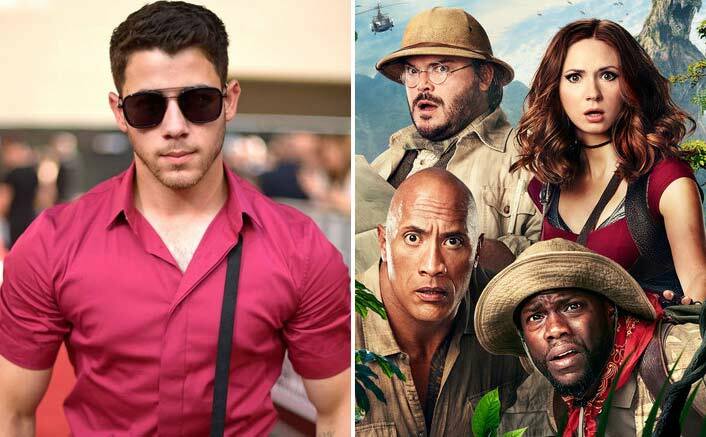 Pop singer Nick Jonas is returning to the sequel of Jumanji: Welcome to the Jungle, reprising his role as Jefferson ‘Seaplane’ McDonough. Jake Kasdan returns to direct from a screenplay he co-wrote with Scott Rosenberg and Jeff Pinkner. The yet-untitled movie will open on December 13, a week before Star Wars: Episode IX launches. Avengers: Endgame Reviews From Test Screenings Are OUT & It Just Can’t Get Better! KGF 2: Sanjay Dutt To Be Roped In For The Sequel Of This Yash’s Blockbuster? Jumanji: Welcome to the Jungle was a sequel to the 1995 hit Jumanji, starring Robin Williams. Set in the present day, the reboot follows four high school students placed in detention together. The quartet is assigned to the school’s basement and then transported into the Jumanji board game after they activate the discarded game. Jonas, who is married to Indian actress Priyanka Chopra, just completed production on Roland Emmerich’s Midway and the thriller Chaos Walking with Daisy Ridley and Tom Holland. The post Jumanji: Welcome to the Jungle: Nick Jonas, Dwayne Johnson & Team Return For The Sequel! appeared first on Koimoi. Previous ArticleAvengers: Endgame Reviews From Test Screenings Are OUT & It Just Can’t Get Better! Next Article Street Dancer, Pati Patni Aur Woh, Pagalpanti – Bhushan Kumar Becomes A Bundle Of Announcements!